Macroeconomics, financial economics, and computational economics. Chao Wei received her PhD in Economics from Stanford University in 2001. 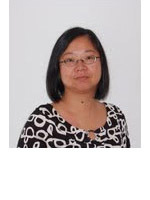 She also holds an MA in economics from Columbia University and a BA in economics from Fudan University in China. She worked at the University of North Carolina at Chapel Hill for two years before joining the George Washington University in 2003. Her research interests focus on the intersection of macroeconomics and financial economics, with an emphasis on the asset pricing implications of production economies with and without nominal rigidities. Her current research examines the impact of personal and corporate income taxes on asset returns. She teaches undergraduate and graduate courses in Money and banking, and Macroeconomic Theory.